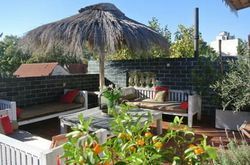 Property Location With a stay at Hotel Costa Rica in Buenos Aires (Old Palermo), you'll be minutes from Armenia Square and close to Teatro Colon. 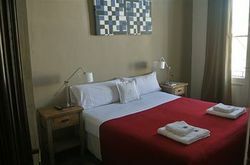 This hotel is close to Obelisco and Plaza de Mayo. 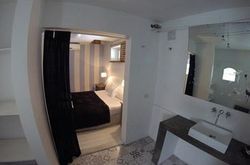 Rooms Make yourself at home in one of the 25 individually decorated guestrooms. Bathrooms with showers are provided. Conveniences include a turndown service, and housekeeping is provided daily. Amenities Enjoy recreation amenities such as a sauna or take in the view from a terrace. Additional amenities at this Colonial hotel include complimentary wireless Internet access, concierge services, and gift shops/newsstands. Dining Satisfy your appetite at a coffee shop/café serving guests of Hotel Costa Rica. Quench your thirst with your favorite drink at a bar/lounge. Business, Other Amenities Featured amenities include a 24-hour front desk, multilingual staff, and luggage storage. A roundtrip airport shuttle is provided for a surcharge (available 24 hours). 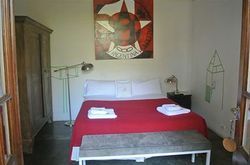 If you are looking for accommodation in Buenos Aires, we can recommend you to check Costa Rica Hotel. We stayed there and had a very pleasant time. 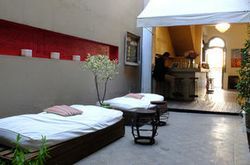 If you are traveling to Buenos Aires you shouldn consider staying at Costa Rica Hotel. It was a unique experience!